Luxurious five star serviced apartments in a modern building just a stone? ?s throw from West India Quay DLR station. The building as its own on site gym/fitness centre and a steak restraurant. The beautiful, spacious apartments each have an open plan lounge and a fully equipped kitchen. Wifi is free is in public areas and parking is available at ? ?19 per day. These superb apartments allow you to explore the shops, restaurants and businesses of Canary Wharf and are within easy reach of the Jubilee line for services to central London or east to the O2 and Stratford. 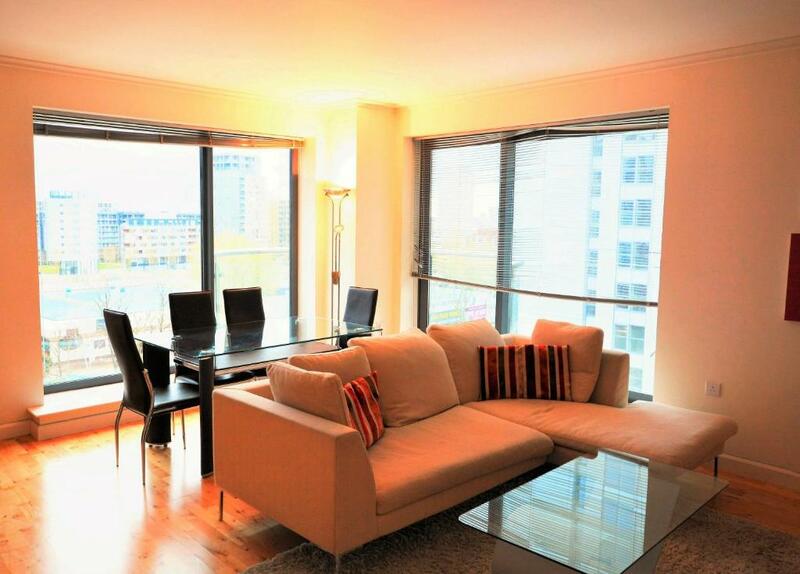 Stylish, modern 4* serviced apartments in Westferry Circus. These contemporary one and two bedroom properties are close to public transport links and also river services on the Thames Clippers. Contemporary four star serviced apartments at Discovery Dock in the heart of Canart Wharf in a range of sizes, suitable for 2, 4, 5 or 6 guests. Each apartment has a well equipped kitchen, free WIFI and a spacious lounge. Well established, luxurious four star serviced apartments in Boardwalk Place. These modern properties are stylishly decorated and each one includes a fitted kitchen and an elegant open plan lounge and dining room.